Sydney’s cultural and economic landscape is changing in amazing ways – and in response, Create NSW wished to explore a vision for the future in which culture and the arts played a more significant role in shaping Sydney’s narrative – imagining a ‘Sydney Culture Pass’ which would make art and culture easier to discover across the city and suburbs. To explore this vision, Create NSW brought together 24 industry representatives from 21 diverse cultural and arts institutions to imagine the best possible future – and Today, in partnership with Aalto, facilitated two consecutive futuring workshops with industry stakeholders, led by Service Designer Grace Turtle. 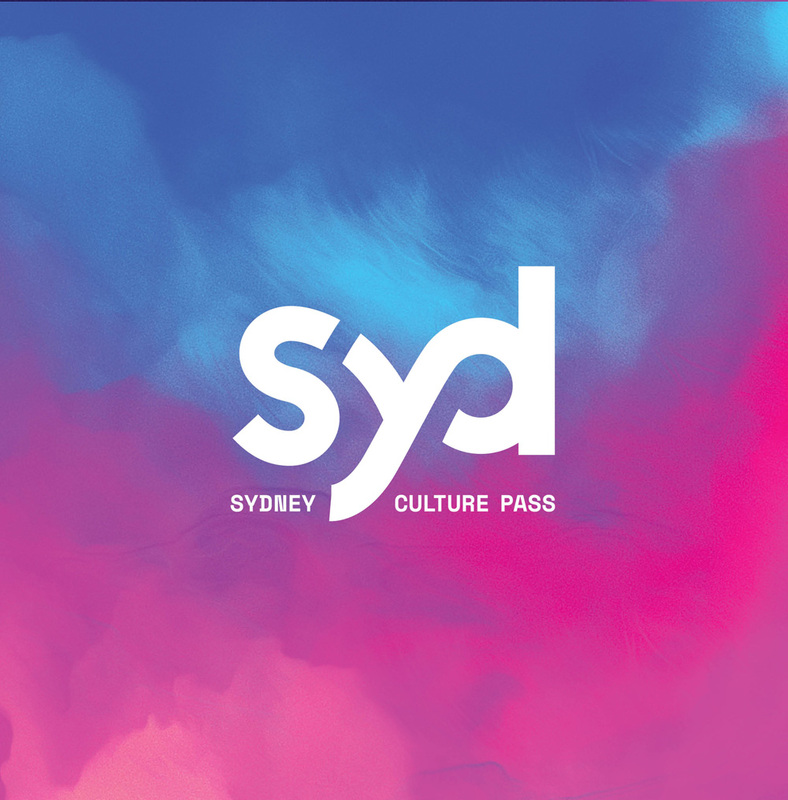 These workshops explored concepts and opportunities in the cultural landscape, and led to a collective vision for the Sydney Culture Pass. 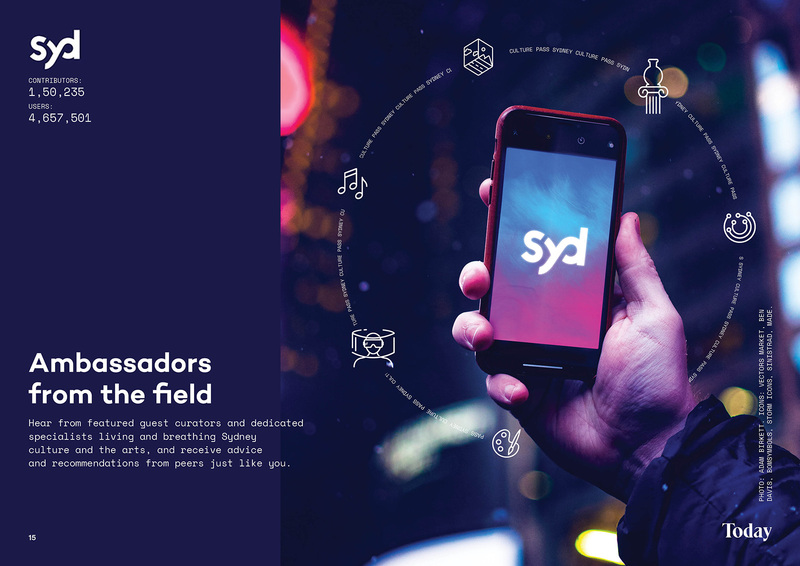 To share this vision and the findings from the workshop, we created a speculative digital concept named ‘Syd’ – an imagining of what the future-state of the Sydney Culture Pass could be in 2030. 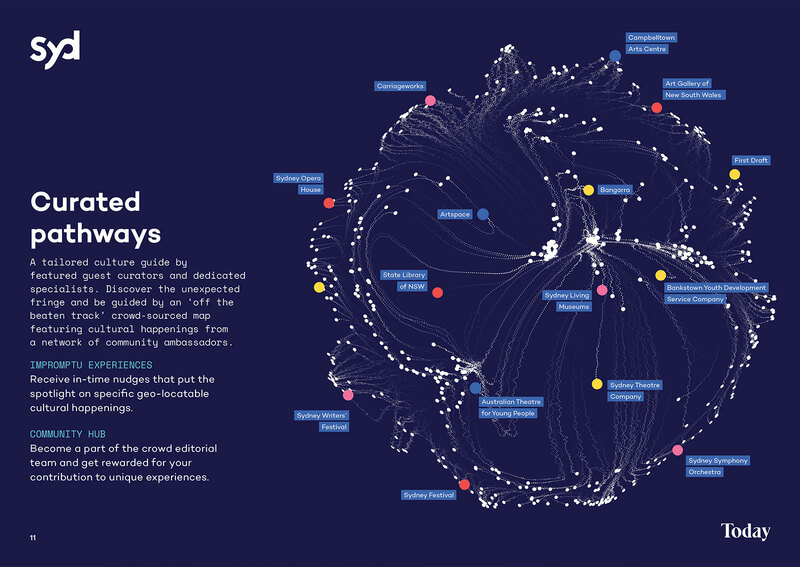 Together with Grace, I developed the visualisation of Syd – a digital platform which functions as a guide to cultural and arts experiences in Sydney, activated by the collective contribution of established and emerging institutions and the movers and shakers working in the industry. 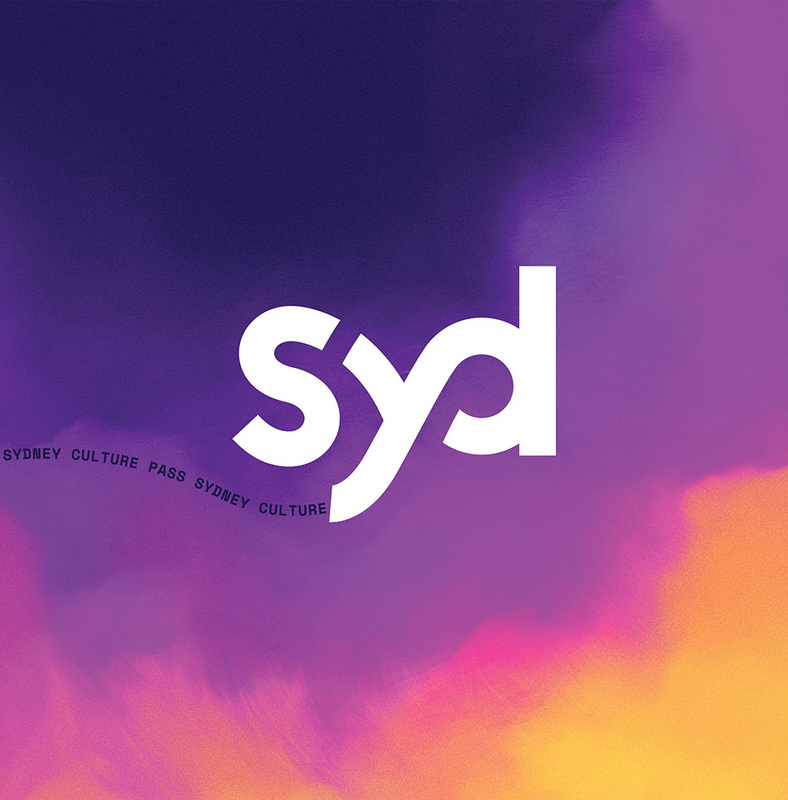 Syd is visioned as a dynamic platform powered by artificial intelligence which would guide locals and tourists alike, via mobile and AR technology, to cultural experiences that they’ll love – connecting the isolated “villages” of Sydney and highlighting new or underground cultural institutions who might otherwise be overlooked. It utilises blockchain technology to distribute governance and accountability for the platform to the ‘custodians’ (institutions) and ‘advocates’ (broader community of contributors), each of whom work together to shape and expose the authentic and diverse cultural landscape of Sydney. The exploration of an imagined Sydney Culture Pass raised meaningful questions about the role culture and the arts play in shaping Sydney’s future narratives for generations to come. And this is just the beginning. 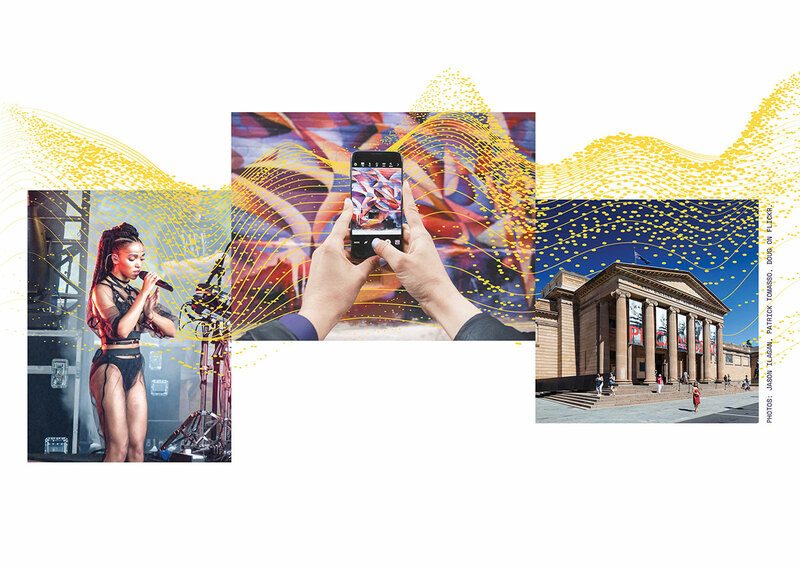 Create NSW are now proceeding with the development of an Options Report based on an expansive vision for a Sydney Culture Pass.